Trajan was a Roman Emperor from 98 AD to his death in 117 and was a successful soldier-emperor who presided over the largest military expansion in Roman history leading the Roman Empire to its maximum size. The Temple of Hadrian was built in 145 AD by Emperor Antoninus Pius, successor of the deified Hadrian, to whom the temple was dedicated. 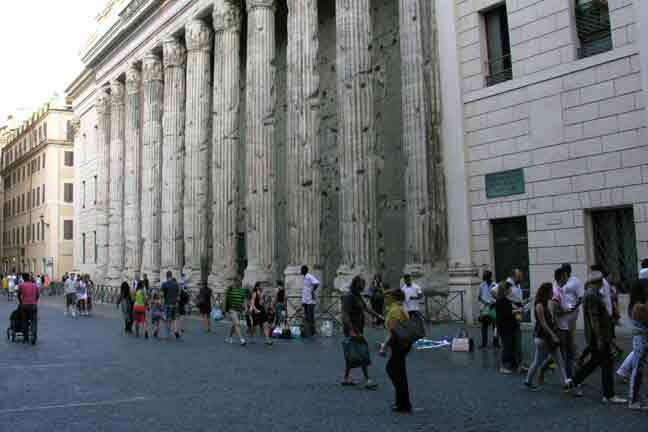 Eleven of the fifteen Corinthian columns in the cella (which is the inner chamber of a temple) were incorporated into a 17th century papal palace, now occupied by a bank. Trajan's Column is a triumphal column constructed north of the Roman Forum in AD 113 and has a spiral bas-relief, which describes the epic wars between the Romans and the Dacians, who had a kingdom located in what is now present-day Romania until the Roman conquest. 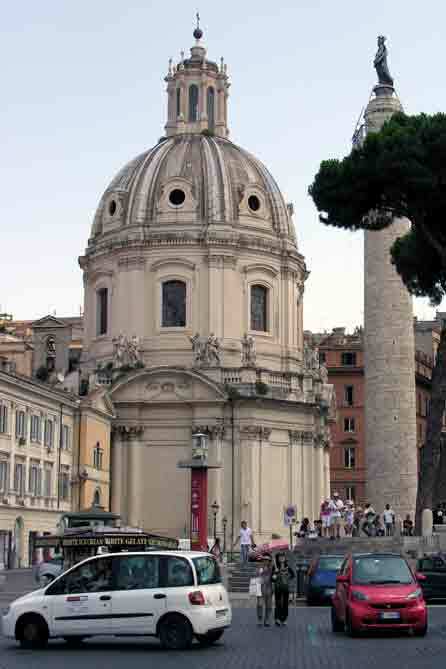 A statue of Trajan occupied the top of the column, which disappeared in the Middle Ages and the top was crowned by a bronze figure of St. Peter by Pope Sixtus V (1521-1590).